"A touch on his tunic sleeve made him turn his head, scowling at the interruption. He saw a tall, strongly made youth standing beside him. This person was as much out of place in that den as a gray wolf among mangy rats of the gutters. His cheap tunic could not conceal the hard, rangy lines of his powerful frame, the broad heavy shoulders, the massive chest, lean waist and heavy arms. His skin was brown from outland suns, his eyes blue and smoldering; a shock of tousled black hair crowned his broad forehead. 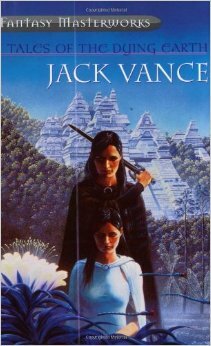 From his girdle hung a sword in a worn leather scabbard." "By the side of the caravan road a heavy cross had been planted, and on this grim tree a man hung, nailed there by iron spikes through his hands and feet. Naked but for a loin-cloth, the man was almost a giant in stature, and his muscles stood out in thick corded ridges on limbs and body, which the sun had long ago burned brown. The perspiration of agony beaded his face and his mighty breast, but from under the tangled black mane that fell over his low, broad forehead, his blue eyes blazed with an unquenched fire. Blood oozed sluggishly from the lacerations in his hands and feet." These tales represent Howard at his best and most known. 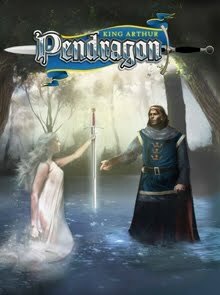 They set all the elements we associate with swords & sorcery: beautiful, alluring women; evil wizards; sword-wielding warriors; and strange, lost ruins with horrors lurking in the shadows. 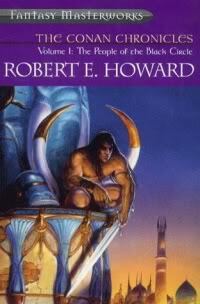 As much as I enjoy reading Fritz Lieber or Michael Moorcock, Howard is still my favorite swords & sorcery author. Highly recommended.